How Do You Access an Old iCloud WhatsApp Backup? Tap Settings of your iPhone. Select iCloud from the list. Find WhatsApp from the list. Find your WhatsApp backups from the list. Find WhatsApp backups from the list. 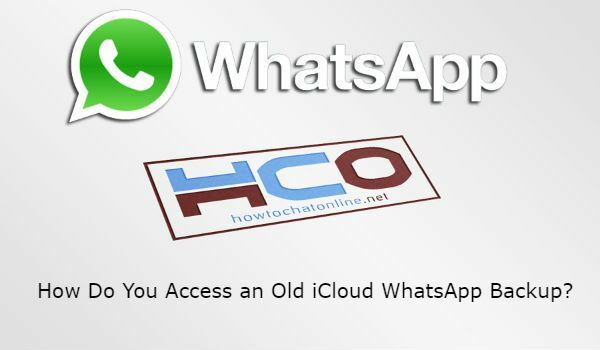 This is how you can access to your old WhatsApp backups on iCloud. If you have any alternative solution, you can also share with us through commenting this page. Run the program in your computer. Find your old WhatsApp backups on iCloud. Click on “Storage” and then “Backup”. Find your old WhatsApp backups on the list. You will also able to reach your data through these devices. However if you have deleted your backups and want to reach them, these are going to be a little bit problematic for you. You will need to help of a professional for this. Unfortunately WhatsApp doesn’t provide any support for deleted backups. So it will be only time loss to try get support from them for this issue.